Consider this: you have 360 joints in your body and 206 bones, all of which are surrounded by muscles, tendons, and ligaments. If you’re active in sports, you put repeated stress on this musculoskeletal system, making you more prone to injury. 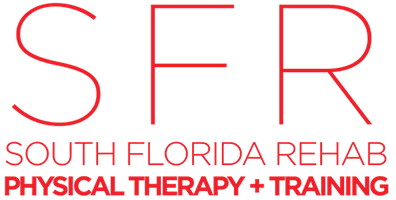 At Florida Rehab and Training Center (SFR) in Miami, athletes make up a large part of the clientele because they rely on the physical therapists to help them regain full, pain-free mobility. If a sports injury has sidelined you, call or book an appointment online to get back in the game. This list is by no means comprehensive, but it represents the most common reasons athletes seek medical help. What are the most common symptoms of a sports injury? If the pain is severe, seek medical attention right away. If your injury doesn’t require immediate medical care, make an appointment with your doctor to get checked out. The physical therapists at South Florida Rehab and Training Center are experts when it comes to sports injuries, and they tailor a plan to meet your goals without resorting to risky surgeries or painkillers whenever possible. With one-on-one work, the physical therapists at South Florida Rehab and Training Center treat the underlying cause of the injury, as well as any collateral issues, to ensure that you can go back to your preferred sport or activity with the necessary strength and functionality. How can I protect myself against sports injuries? Strength and conditioning training is far and away the best way to prevent sports injuries. The physical therapists at South Florida Rehab and Training Center offer comprehensive and individualized strength and conditioning training plans that help you enjoy your sport of choice without being sidelined. To get back in the game, call South Florida Rehab and Training Center, or book an appointment online.